Who just endorsed whom? What do the latest polls say? How much money did they raise this quarter? Keeping up with the 2012 elections in the U.S. and staying abreast of breaking developments can be quite a task in today’s fast-paced news cycle. So today, we’re excited to continue our tradition of supporting you during elections season. 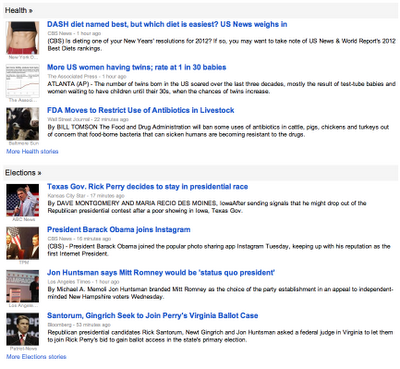 Google News is launching an Elections section on its homepage which will organize and present elections coverage as it grows through the general election -- Tuesday, November 6, 2012. Posted by Scott Zuccarino, Product Manager Who just endorsed whom? What do the latest polls say? How much money did they raise this quarter? Keeping up with the 2012 elections in the U.S. and staying abreast of breaking developments can be quite a task in today’s fast-paced news cycle. So today, we’re excited to continue our tradition of supporting you during elections season. 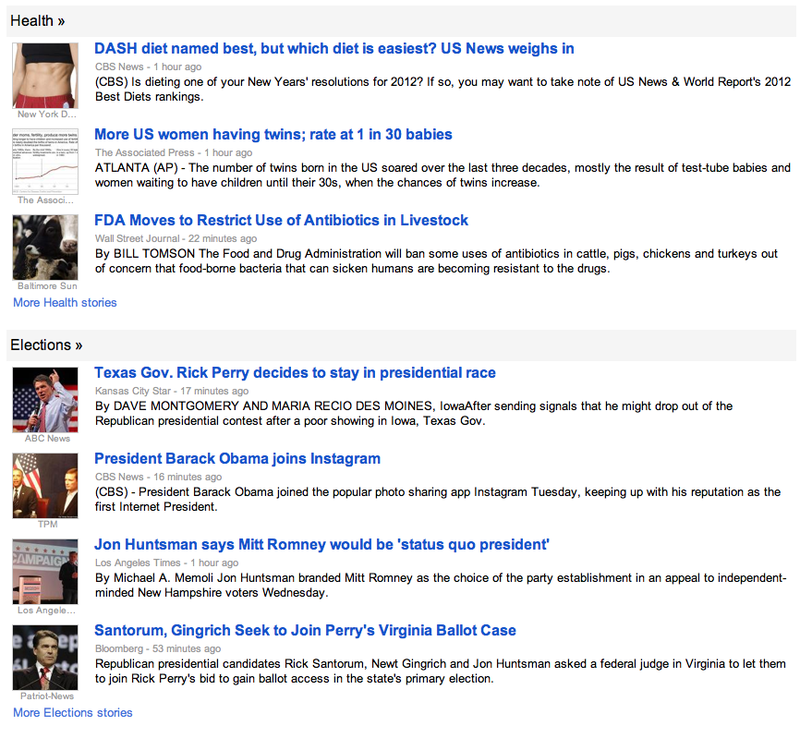 Google News is launching an Elections section on its homepage which will organize and present elections coverage as it grows through the general election -- Tuesday, November 6, 2012.